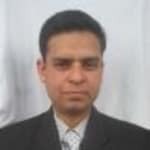 Dr. Pankaj Bansal is a popular Dentist in Sector 19, Faridabad. He has been a successful Dentist for the last 17 years. He has completed MDS - Oral & Maxillofacial Surgery. You can meet Dr. Pankaj Bansal personally at Dental Solutions in Sector 19, Faridabad. Don?t wait in a queue, book an instant appointment online with Dr. Pankaj Bansal on Lybrate.com. Lybrate.com has an excellent community of Dentists in India. You will find Dentists with more than 41 years of experience on Lybrate.com. You can find Dentists online in faridabad and from across India. View the profile of medical specialists and their reviews from other patients to make an informed decision. My mouth Bad breath what can I do. Who'd solution use full, I am many time using listerine but not good result. Bad breath (halitosis) can be due of multitude reasons ranging from depostis (hard and soft) on teeth to upper respiratory (urt) to digestive tract lesions (ulcers, etc;). This can be evaluated by visiting a suitable dentist (periodontist). Various treatment options are available to treat this bad breath. I am suffering from pimples on my face for that what can I do please tell some treatment to me, I am suffering with mouth ulcers in mouth due to heat for this is there any treatment I am using riboflavin tablets for this. Dear Doctor, My nephew has completed 9 months of his life i.e. He is 9 months old and his teeth has not yet grew. Could there be problem in future? A doctor was telling that his bones would weak as his teeth has not grew at the age of 9 months. I am so concern about him please tell me reason as why his teeth has not grew yet. Also state what should I do? Thank you! Dear doc, I have a friend who has a problem of chronic bad breath for the last few years. He tried his best, but nothing is good to him. He wants to try ayurvedic treatment this time and I am helping him by sending you this message. Lastly, advise us to get the medication with proper names if you prescribe for him and can be easily available at a medical store. I heard some treatment can be done at home but the ingredients are difficult to find and we don't know how to make it properly. Thank you. Dear lybrate-user, bad breath from the mouth can be of various reasons, like accumulation of plaque and tartar, decay in teeth, dry mouth, smoking and tobacco chewing, consumption of caffeinated beverages and alcoholic drinks, sore throat, bad digestion. For beginning, go for scaling and polishing of teeth. Use a mouthwash after brushing twice daily. Increase intake of water, and clean tongue regularly. No medicines help in case of bad breath, unless there is a digestive problem. I suggest that you consult me privately on lybrate so that I can prescribe the appropriate mouthwash and gum paints to you. I am 9 months pregnant. Recently I have toothache. On right side. Can I take imol plus tablet for tooth pain. Please suggest me as soon as possible. They say, prevention is better than cure. So why not prevent yourself from the consumption of cigarettes or smokeless tobacco and reduce the risk of oral health diseases lilke tooth decay, gingivitis, oral cancer and periodontis. Why do my teeth turn little yellow after every two years. Then I go for scaling and then again they are fine. It means that you are not maintaining your oral hygiene well. It is natural process. Scaling is advisable every 6 months.